I just got back from London where my wife and I spent two very full weeks. This was the first photo I took while I was there. 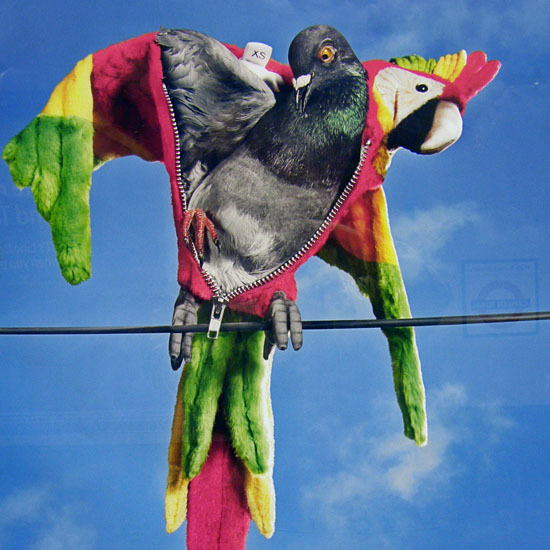 The idea of a pigeon dressing up as a parrot for the carnival tickled my fancy — and I thought of a couple of Twitter friends (tWordBird and Squawkingalah). The poster was still up on the wall on several Underground stations, though we’d just missed the reason for it. Get ready for the Notting Hill Carnival. We arrived on 1st September.